Zique | Running Late For Work? Remember This Next Time! 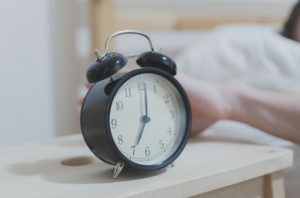 We all know the feeling of waking up refreshed – unusually refreshed that is – and then about 2 seconds later the earth suddenly stops spinning; “I’M LATE FOR WORK!!! !” All of a sudden you have superhuman powers and you morph into your work attire quicker than Flash can run to the restroom, after drinking a latte. Okay, so you’re probably wondering what the magical secret is to overcome being late to work. Well sorry folks, there isn’t one. However, the next best thing? Call your boss! If only people realised the power of a phone call. You would be surprised how many people arrive late to work and offer a very vague apology if anything. Mistakes happen, it’s natural. But the one thing supervisors absolutely dislike is not being informed. Think about this for a moment. You order something online and realise that your package hasn’t arrived in the two weeks as promised. You get frustrated and even chase up the company to ask where on earth it is, only to find that they say “yeah sorry, it’s on its way”. Wouldn’t that annoy you? Imagine if instead they called you before the 2 week deadline and advised you that the package is running late with an apology. Doesn’t that courtesy call extinguish at least some of the annoyance of the situation? I for one would go as far as thanking them for letting me know. Thanking them? For telling me it will be arriving late? What on earth is wrong with me? Well, that’s the sheer power of courtesy – it makes you do weird things like thanking people for running late. D’oh! Next time you’re running late pick up that phone, call your boss, let them know you are running late and that you are so sorry; I wouldn’t be surprised if your boss goes as far as thanking you for letting them know. They will probably even tell you not to rush and be there when you can. You might even get a promotion! Well, probably not actually, but you get the point.